Shanghai Transportation is close related to visitors’ Shanghai Tour, the city of Bus lines, vehicles and passengers’ capacity are ranking as number one compared other cities in China. Nowadays, Shanghai transportation has formed by railways, waterways, road, air and pipeline, with a large scale integrated transport network. Shanghai Port is the largest hub in China; there are a total of 47 bus stations, 1611 long distance bus line to 660 cities all over China. The city has formed by a amazing traffic network with road, viaduct, river-crossing tunnel and bridge as well as subway and elevated rail. Shanghai is served by Pudong International airport and Hongqiao Shanghai airport. There are direct international flights between Shanghai and some European and US cities. The Huning (between Shanghai and Ningbo) and the Hu Hang (between Shanghai and Hangzhou) railways lead Shanghai to the other places of China. The national roads lines in Shanghai are lead to all over China with well road condition. There are more than 1,000 bus lines in Shanghai city and about 50 bus lines are being opened, adjusted or lengthened every year. Shanghai is a vast metropolis that can seem overwhelming by sheer volume alone. 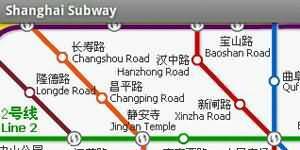 Thankfully, for tourists and locals alike, the Shanghai subway system is easy to use and sprawls the entire city. Located in the center of the north and south coast line of China, Shanghai is the biggest port city in China and the third largest port in the world. the steamers there are connected with more than 400 ports in the world. Shanghai has four railway stations, Check out the train timetable to fix your schedule.